Of course, no one in this house ever complains about too much ganache. Too much chocolate? You kidding me? Is there ever such a thing? But then I figured there had to be a better way of using up leftover ganache than just eating it up by the spoonful. This is why I love Google. Answers all of life’s most difficult questions. 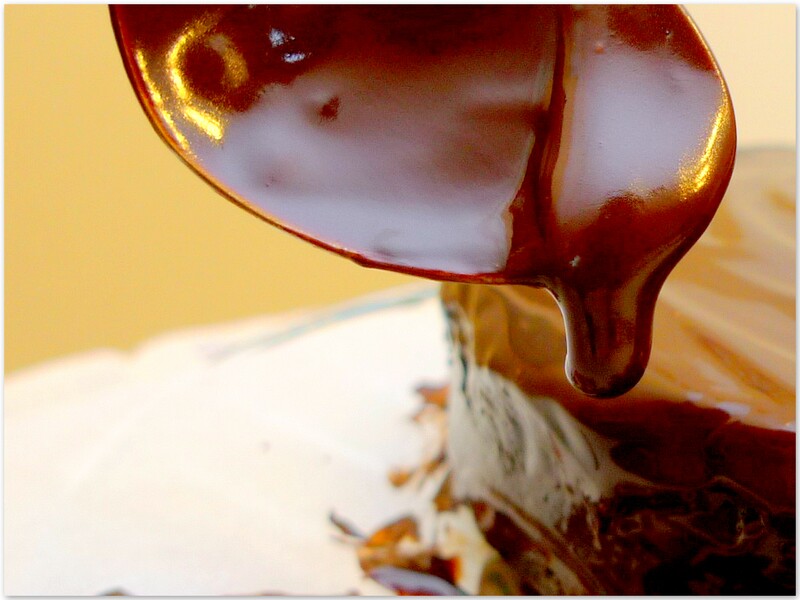 All you have to do is leave the ganache in the fridge for a couple of hours or overnight. It should be firm yet soft enough for you to scoop out balls of ganache. Set up a bowl of unsweetened cocoa powder. Using a teaspoon, scoop out a ball of ganache. Doesn’t matter if the shape isn’t perfect. Pop it into the bowl of cocoa powder and roll it around until it’s covered. 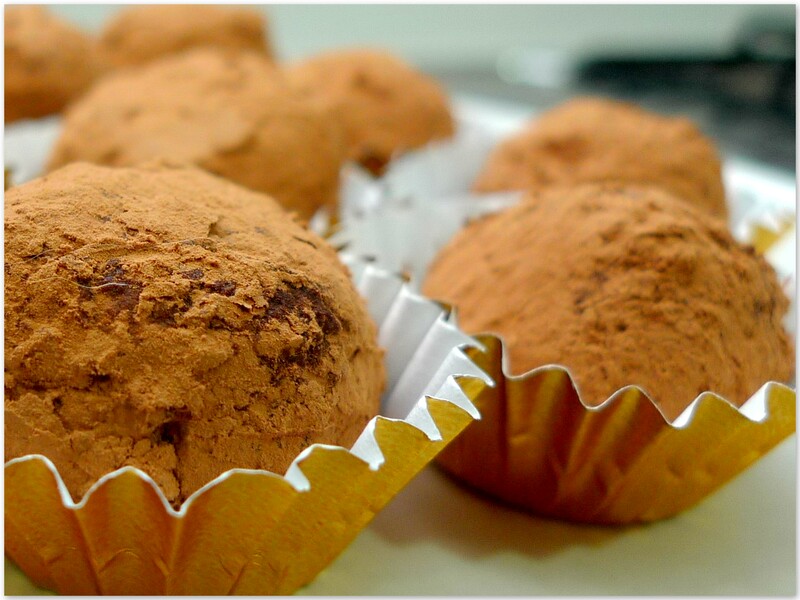 Dust your hands with cocoa powder, and shape it into a nice ball of truffle. Lay it on parchment paper and pop it back into the fridge. If the ganache gets too soft to handle, just place the entire bowl back in the fridge for a couple of minutes to firm up.